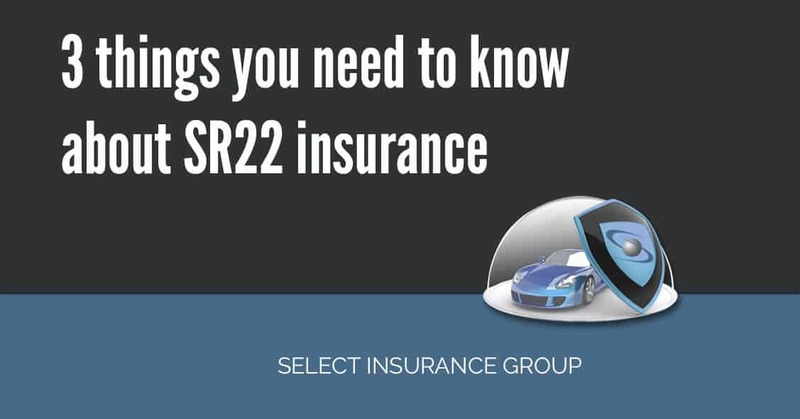 3 things you need to know about SR22 insurance – You may need to know the most basic things about SR-22. The following three pointers should give you a general overview of what SR-22 is and how it can relate to you. If by some reason or other have been misled to the understanding that SR-22 is an insurance cover, it is not. In case you are in an accident, your insurance cover is what will take care of the ensuing costs. SR-22 is simply a document guaranteeing that in case you are in an accident in the future, you are financially able to cater for expenses that will be incurred at the time of the accident. This document is issued by your insurer and acts as proof to the courts or Motor Vehicle Departments that you are actually insured, that you can afford the insurance cover required. Be advised that you cannot get a SR-22 without insurance. Acquiring a SR-22 is not expensive and ranges between $15 to $25. This may raise the question why then it is deemed to be costly. What may turn out to be costly are your insurance premiums. You see, you are a risk taker. And if your insurance is going to cover you, they must consider this fact about you. You’ll be shocked if your insurance premiums rise by up to 200%. Generally normal insurance coverage does include risky habits that keep causing damages and other costs. This is why you are considered risky and as such must be given special premium rates that can comfortably cater for your needs when the time comes. A lot of people are afraid to speak to their insurers about this because they think it will cost them much more. If you desperately want to curb the costs of your insurance premiums, the best advice you can get is watch your driving habits. Simply avoid risky driving habit otherwise, you will need a SR-22 and at the end of the day may cause your insurer to either increase your premiums or to even cut ties with you. How long a SR-22 is active generally depends on the court that has issued the order for a driver to acquire it. In general it will take you between three to five years to get this record wiped out of your records. For person eager to quickly reduce their premiums, it is not unreasonable to expect you to act within the parameters of law as pertains traffic rules and regulations. Continuous violation only serves to ensure that your SR-22 requirement runs for a longer period of time. That having been said, it is always advised that you consult with your insurer. They are best placed to advise you on what to do, what you are required to provide or do when you have been ordered to acquire a SR-22. They will advise on the time it takes to process one, how to avoid getting longer time on your SR-22 and what the state you are in expects of you when you have a SR-22. Remember, your insurer needs total disclosure in order to know how to assist you when you need a SR-22. Total disclosure is highly recommended. If you have been in an accident that was fatal, if you are in the habit of drinking and driving, if you LIKE DRIVING ABOVE SPEED LIMITS , if you have been suspended, if you have prior violations of traffic laws and many other issues you may have had, need to be clearly stated and all circumstances explained. This is not for the purposes of getting you in trouble, rather it is for the purposes of ensuring that you get good cover, so that if you should ever be involved in an accident in the future, what you have been covered for will be well taken care of. People need not fear SR-22 requirements for one simple reason, they are a wakeup call. They put them back into line with the laws, and sometimes adherence to the laws eventually saves lives. Remember your record is already bad if you are in violation of traffic rules, SR-22 sometimes helps a person get better discipline. Older How can I avoid an SR-22 requirement?